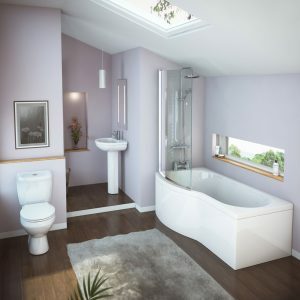 1700 or 1500 long curved showerbath complete with curved panel and shower screen. 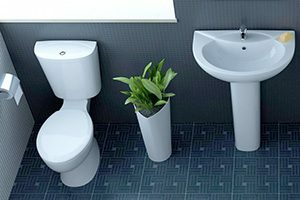 Bath waste, bath shower mixer, toilet, sink, pedestal and basin tap all included. Showroom price £575 website offer £450. End panel if needed extra £40. 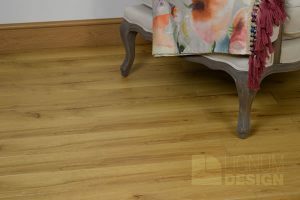 12mm Robust Natural oak narrow board laminate flooring. Was £19.99 yard now £13.99 yard. Price includes free basic 2mm foam underlay. 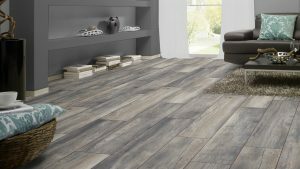 AC4 8mm Harbour Oak Grey wide board, laminate flooring. Was £19.99 yard now £11.99 yard Price includes free basic 2mm foam underlay. 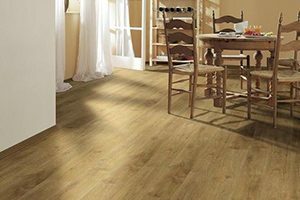 From £5.99 yard includes FREE UNDERLAY.